Florist, Flowers, Weddings, Roman Mandaps - The Mandap Company, London..
We have a vast range of backdrops for engagements, receptions, weddings, nikkah and walima stages. Each setting is customised to your venue and the theme you have in mind, which can incorporate flowers, draping, lighting and embroidery. Tasteful and elegant mandap designs are combined with fresh flowers to create atmosphere and impact for your special day. There are a selection of backdrops and aisleway accessories to choose from which can be co-ordinated to create the perfect theme. 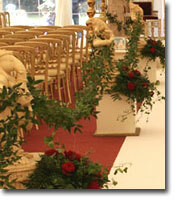 It cannot be over-stated what impact a beautifully decorated venue has on your wedding day. 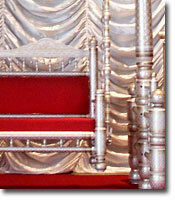 Our events team will create the perfect setting for your special day. 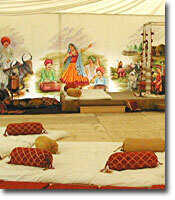 Whatever the event we have the appropriate props for your chosen theme.